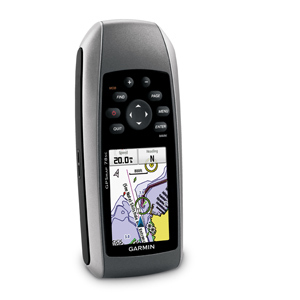 Garmin GPSMAP 78sc handheld GPS. This model includes a variety of marine features including: marine charts, water resistant, it floats, electronic compass, and anchor drift alarm. The high sensitivity antenna works well even inside a building so there’s proably no need for an external antenna.